Last week we wanted to try to cook a bit lighter so instead of our usual shrimp and garlic in butter sauce, we opted for the barbecue. If you don’t have a barbecue easily accessible, you can still cook this on a grill pan as seen here in Google images. They are pretty cheap and give you nice grill marks when it’s too cold or too wet to fire up the grill. 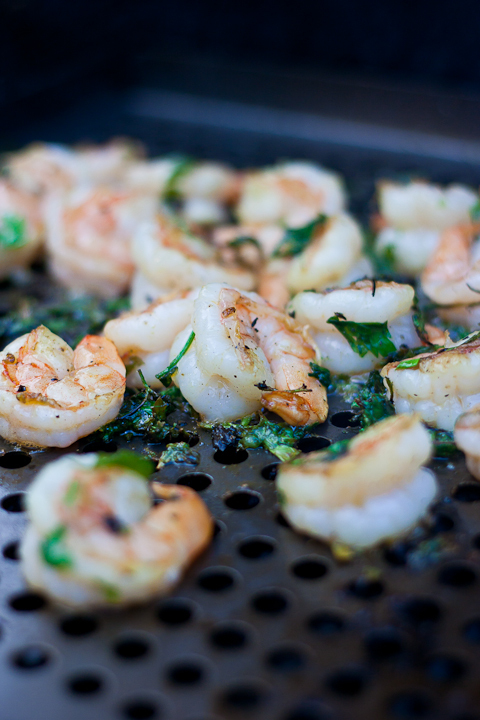 Since shrimp are so small, and we didn’t want to watch them fall between the grates in our grill, we used a grill topper. Before you bring the grill topper outside, oil the side where you will be placing the food. This will prevent it from sticking later on. Once your grill is heated up, put it right on top of the grill and put layer your food. 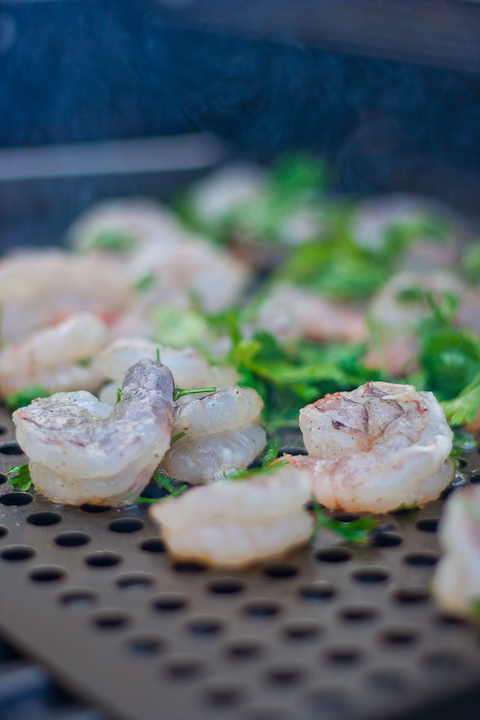 The grill topper will prevent small ingredients such as shrimp from falling between the large grates. 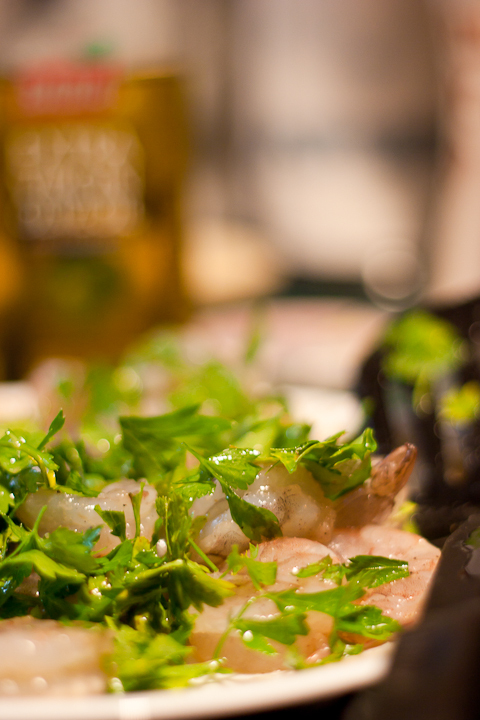 Defrost your shrimp in a bowl overnight if purchased frozen. Drain out all liquid and pat dry before using. About an hour before you begin cooking, liberally season with salt pepper. Chop the parsley and garlic and add to put. Pour the olive oil in, stir together and let mixture sit for an hour. Preheat your grill to about 400 degrees. While the grill is heating up, oil your grill topper. let the grill topper preheat for about a minute. 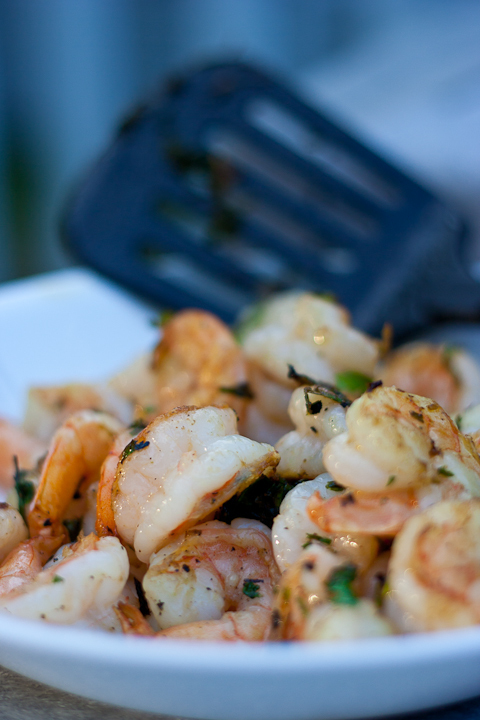 Layer the shrimp mixture onto the grill topper and try not to have any pieces ontop of one another. Cook the shrimp until they become nice and pink. You can check to see if they are cooked or not by pushing them in. If there is no bounce when you push in, then the shrimp is probably overcooked. I personally like my shrimp done a little less so by the time I bring it to the table, the residual heat will finish off the cooking process. 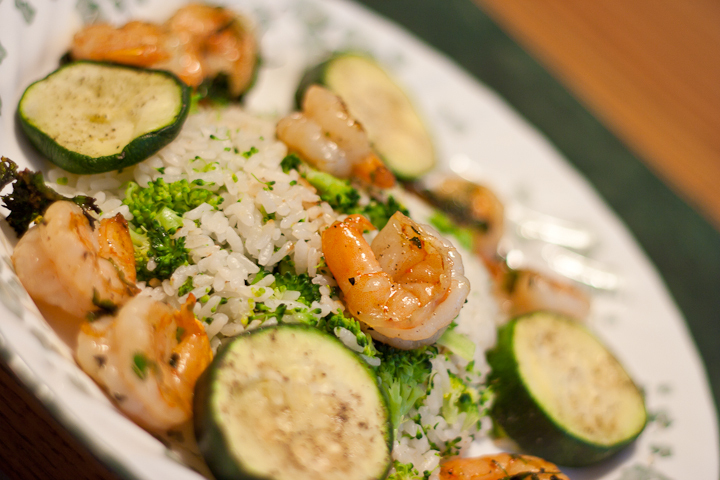 Plate your shrimp and impress your friends and family. While all this was happening, we sautéed some zucchini and steamed some white rice. There was leftover broccoli from the night before so we chopped it and mixed it through the rice. It was a really delicious, easy and healthy meal.